Since you can still find fresh cranberries at some stores, here’s a Cranberry Conserve recipe from So Easy to Preserve that makes a more hearty treat out of a classic wintertime favorite. Make and enjoy- before it’s too late! Procedure: Combine orange and water; cook rapidly until peel is tender (about 20 minutes). Add cranberries, sugar and raisins. Bring slowly to boiling, stirring occasionally until sugar dissolves. Cook rapidly, almost to the jellying point of 220°F (about 8 minutes). As mixture thickens, stir frequently to prevent sticking. Add nuts during the last 5 minutes of cooking. Pour hot conserve into hot jars, leaving ¼-inch headspace. Wipe rims of jars with a dampened clean paper towel; apply two-piece metal canning lids. Process in a Boiling Water Canner. Table 1. 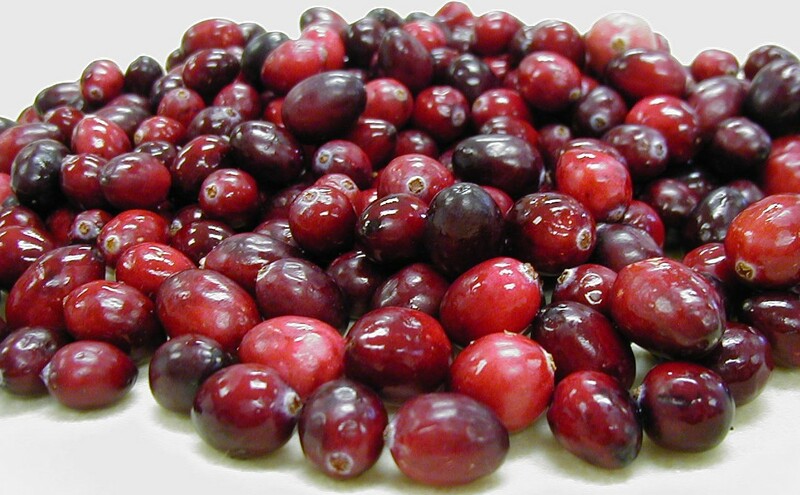 Recommended process time for Cranberry Conserve in a boiling water canner. 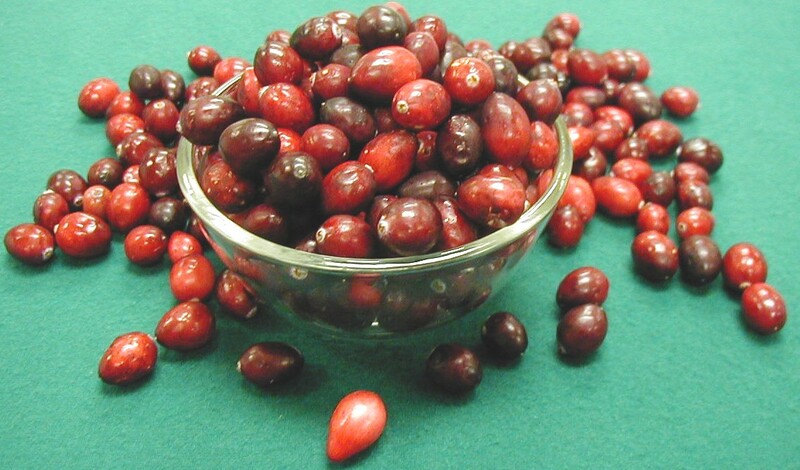 This entry was posted in Canning, Jams and Jellies, Seasonal Food Tips and tagged boiling water bath canning, canning in winter, conserves, Cranberries, cranberry conserves, cranberry recipes, seasonal recipes, winter recipes on February 22, 2013 by nchfp.